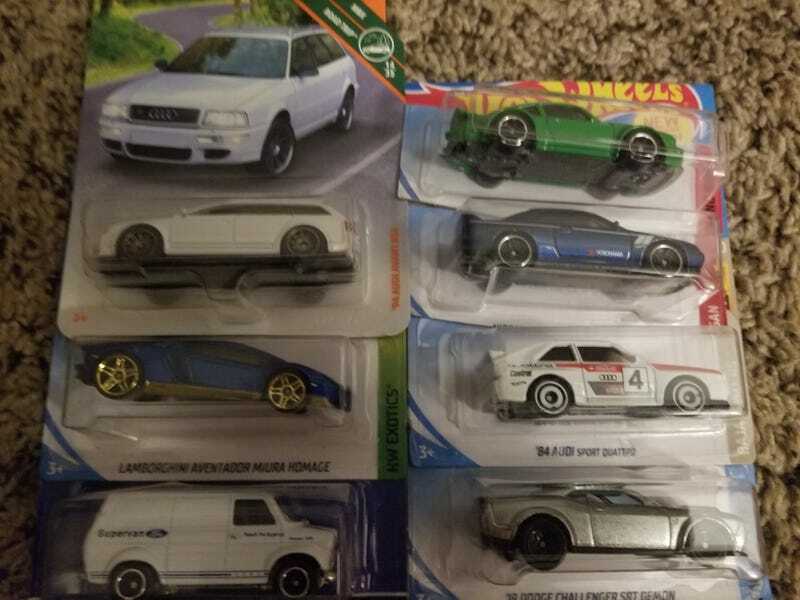 I had a bunch of extra Audi supers, and I decided to trade one for his Supervan. (Yes, I know it was a lopsided trade) Everything else here is just an added bonus! I love them! Thanks a bunch, man! Hopefully you’ll get your end of the deal tomorrow, and hopefully USPS didnt destroy my box. It was kind of thin, so I’m a tad worried... buuut, I’m sure it’ll be fine.